Make mouth watering and aromatic Indian food with this Prestige induction cooktop in your kitchen. 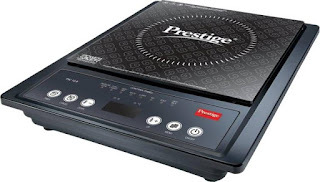 This induction cooktop comes with Indian menu options that you are going to love. With feather touch buttons, an aerodynamic cooling system and dual heat sensors, this induction cooktop is very convenient to have in your kitchen.